A simple combination, consisting of typically Italian aromas and an unmistakable flavour that is quite tantalizing. Pizza with mortadella is a timeless classic. A simple dough made from nothing but flour and water, the miracle of yeast and the unmistakable savoury flavour of one of the most famous Italian cold cuts in the world add up to pizza and mortadella, which is not only a recipe but an authentic all-Mediterranean experience. The origins of this recipe are legendary and wrapped in mystery, as all great myths are. 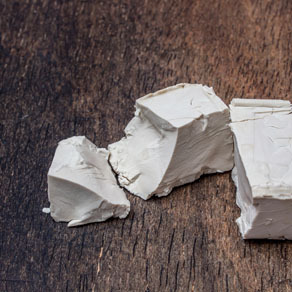 Some Italian food experts claim that mortadella dates back to the Roman age and that its name derives from mortarium, indicating the mortar used to grind pork by hand. Others, however, say that the name of this world-famous Italian cold cut derives from farcimen myrtatum, recalling the wild myrtle berries with which the pork meat used to be flavoured. But it was only in the 19th century that mortadella started to be produced in great quantities, most of which was destined for exportation. 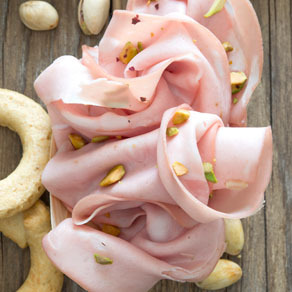 Mortadella (also known as Bologna after the city it is produced in), is made from select pork, spices, pepper grains and pistachios, the typical cashew coming from Bronte in Sicily. Once assembled, the mortadella sausages are then cooked in special dry air ovens for a period of time that varies between a few hours and a number of days. 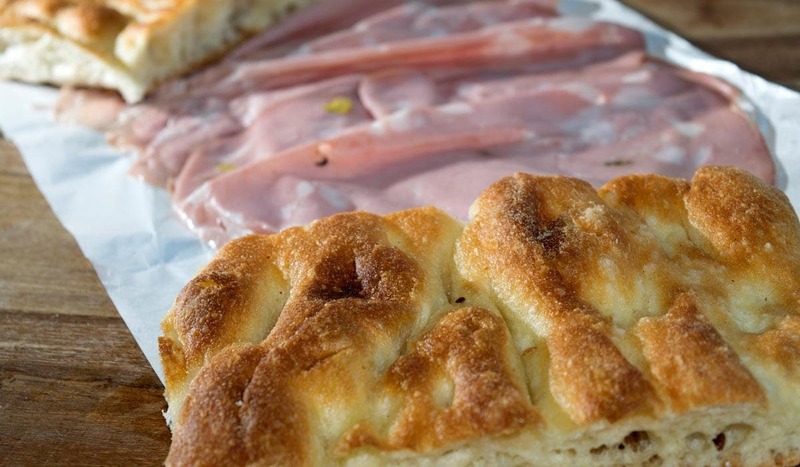 Since mortadella has such an assertive flavour, the white pizza accompanying it is simple and genuine to enhance the taste of this delicious cold cut. 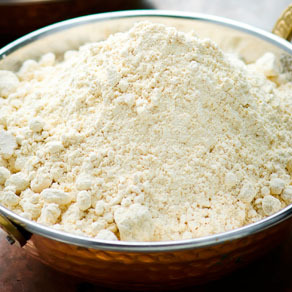 Put the flour, water and yeast into a bowl and mix briskly. Add the oil, salt and sugar, continuing to knead the dough until it becomes elastic, smooth and even. Cover the dough with a dry clean cloth and leave it to rise for 8 hours. When the rising time is up, grease an oven tray with a drizzle of oil and hand stretch the dough to spread it out on the tray. 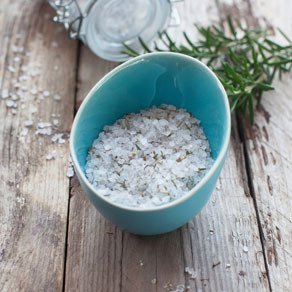 Season the pizza with coarse salt, extra virgin olive oil and bake for 20 minutes in an oven pre-heated to 250°C. Remove the pizza from the oven and cut it in half, filling it with finely cut slices of mortadella. It was actually owing to the popularity of mortadella that a very young mechanic, called Luigi Giusti, invented the food slicing machine on 5 May 1873. It was an extremely innovative machine for its time, enabling any type of cold cut to be sliced with the greatest of ease.